The curious case of lost memories. Mr. Joshi regained his composure. He sat back and started his story in more composed voice. “My name is Amit Joshi. I am 36 years old and currently I am staying in Thane. I shifted to Thane from Malad (a suburb in Mumbai) three years back. While shifting we decided to buy everything new in the new house. As my Malad house was going for redevelopment, we decided we will keep all our belongings in Malad house for the time being and will take whatever we want to the new house whenever we require it. At that time, I had checked all my old photos and albums and they were kept properly in one of the drawers. 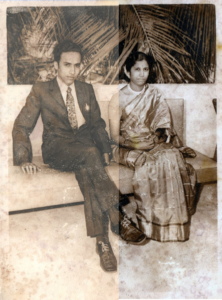 However with time, my visits to Malad house became infrequent and also as the building was going for redevelopment we neglected the maintenance of the house. Yesterday, when I went to my Malad house after almost 6 months, I could see some leakage in the house and the wooden drawers where I had kept my photos were full of termites. 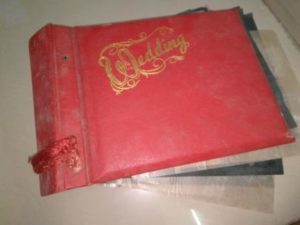 I opened the drawer and to my horror my parents wedding album which is almost 40 years old was soaked in water as well as was full of termites. Sir, I have lost my precious memories please help!” With this, Mr. Joshi dramatically opened his plastic bag and took out a really worn out album. Looking at the condition of album, I let out an involuntary gasp. Sherlock had opened his eye and was keenly looking at the album. He asked Mr. Joshi to leave the album and come after three days. After Mr. Joshi left, I closed the door behind him and came back to the table where the album was lying. I was about to touch the album, when Sherlock cried from the end of the room. “Be careful Watson! 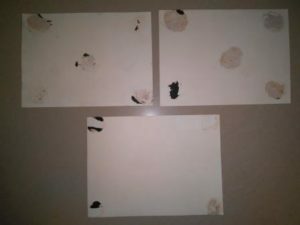 Don’t touch the album without using surgical gloves, as the oil and sweat on your hands can damage the photos.” I went to my cabinet and put on the surgical gloves and started leafing through the album. 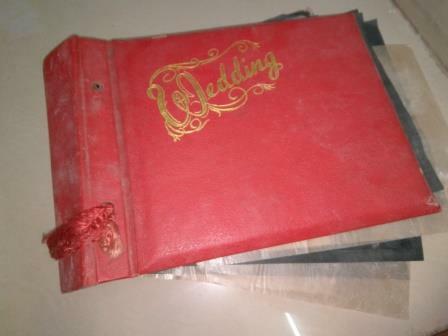 It was the black paper old photo album which was very commonly used in 70s. The photos were stuck to the album pages with glue. There were around two hundred photos in the album. They had stood the test of the time. 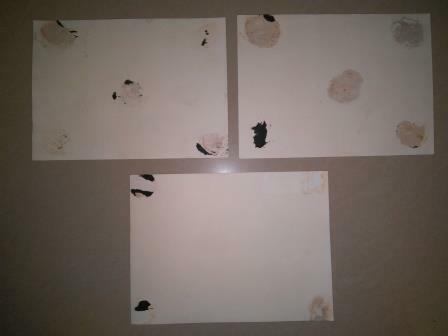 Some photos were faded, some were discoloured while to some photos the tissue paper which separates the photo sheets was stuck. I turned to Sherlock who was busy browsing on laptop and said, “Sherlock this really looks like a case of lost memories. I do not think you will be able to retrieve the photos. 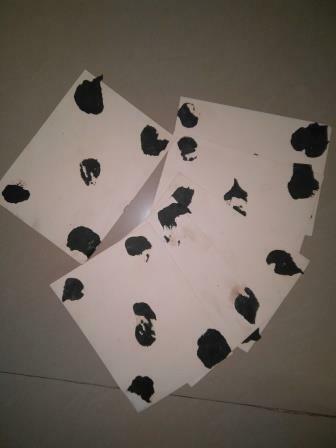 The album which was supposed to protect photos has contributed to destruction of the photos.” Without saying anything, Sherlock turned his laptop to me. He was reading an article, ‘The Archive Lady: Preserving Old Black Paper Photo Albums’. 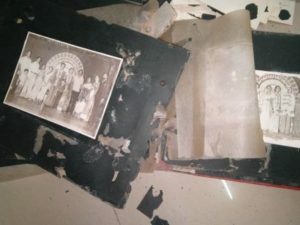 Sherlock said, “This is an interesting article about preserving the old album. But in this case, forget the album. We would do great if we can save the photos.” With this Sherlock opened his kit. It looked more like a surgeon’s kit. He removed a scalpel and a pair of surgical gloves. He wore the gloves and started working on the album. From my experience, I knew at such times he is best left alone as he gets completely involved in his experiments. So I gently shut the door behind me and retired for the day. So now, with photos safely removed from the album and cleaned, Sherlock handed the photos to me for scanning. I scanned the photos with the state-of-the-art scanners available with us. Made two digital copies of each photo, one original scan at 300 DPI and other with automated colour correction at 300 DPI. When both the copies were kept side by side, the colour corrected photo was way better than the normal scan. I saved the final digital copies of the photos on a DVD. Also, to increase the lifespan of the physical photos, I put all the physical photos in new physical albums. Next day, Mr. Joshi came at appointed time. His joy knew no bounds. He profusely thanked both Sherlock and me for restoring his lost memories and went back happily. After he left, I asked Sherlock, “Mr. Joshi got his photos, I got my blog what about you, what did you get by doing all this?” Sherlock said, “Memories are special. It’s the satisfaction of saving the memories which is beyond anything,” and he closed his eyes. Names of all the characters in the above story are fictional but the story is real. 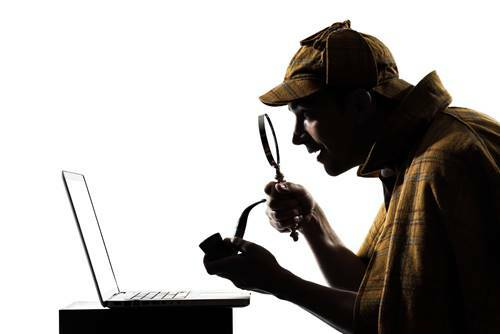 Sherlock Holmes and Watson of ScanMemories help our customers restore their photos both digitally as well as physically. That’s interesting Mr. Watson. I ‘ll surely take Mr.sherlok’s help.